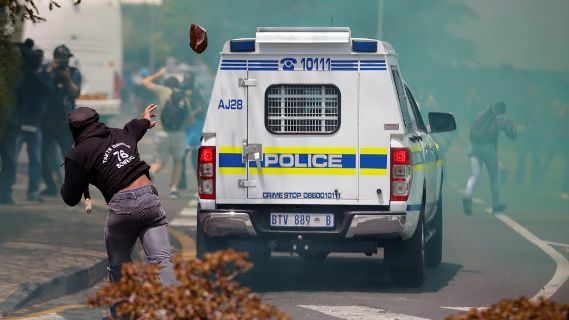 South African students protesting over free education were dispersed with tear gas, rubber bullets and stun grenades by the policemen in Johannesburg. The fracas was said to have taken place on Tuesday, October 4, after the protesting students disrupted lectures at one of the country's leading universities, Witwatersrand, after failed implementation by the current Jacob Zuma’s Administration who had promised free education, free housing, and free healthcare. According to reports, two students were arrested while one staff of the University and several students were injured in the savagery.